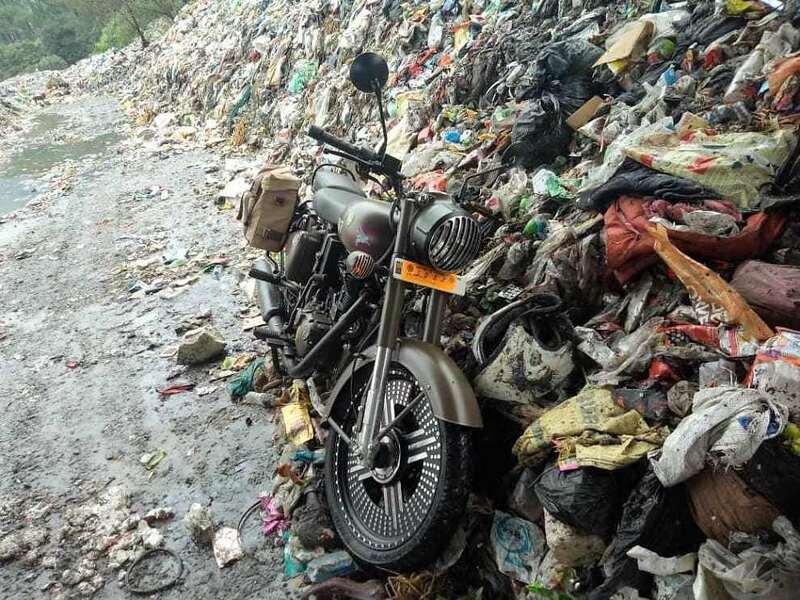 Royal Enfield Classic Pegasus Edition is again in controversy, this time due to the launch of Classic 500 with ABS in the country. The manufacturer is now offering flagship variant of the popular Classic series with ABS for INR 1.99 lakh. The launch brings another shock to the Classic Pegasus owners, who spent INR 2.16 lakh for the same bike without any provision for ABS in India. The 250 units meant for India were left without this feature while 750 units for other markets had this feature as standard. The controversy started with the launch of Classic 350 Signals at INR 1.62 lakh, offering 2-channel ABS as standard and using similar tank highlight pattern as Pegasus Edition. 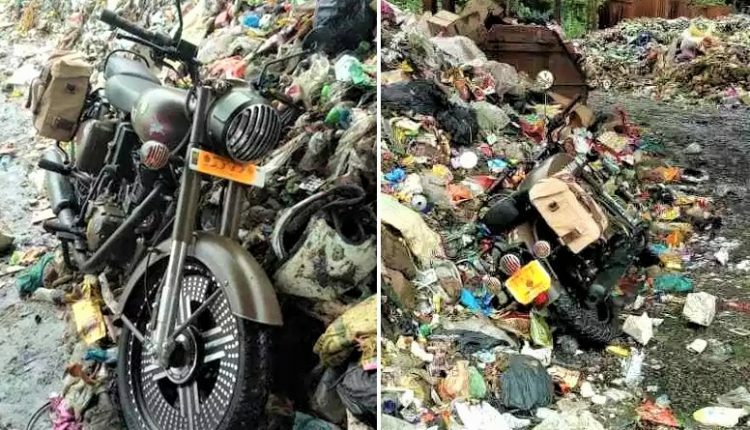 After the launch of Signals Edition, all of the 250 owners warned the company that they will donate their motorcycles to their respective local municipalities to collect garbage, and the owners will participate in the Swachh Bharat Abhiyan through this limited edition Royal Enfield. 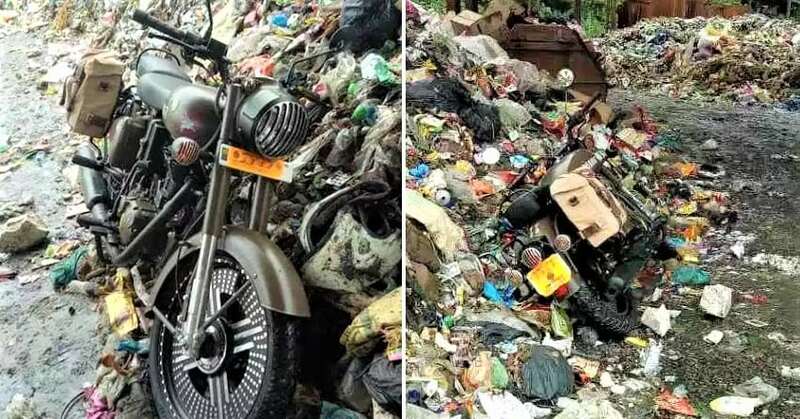 In fact, 2 Classic Pegasus owners even threw their motorcycles in the garbage to show their anger and disappointment to the brand. The Indian market is yet to experience ABS for standard, Redditch and Gunmetal Grey variant. 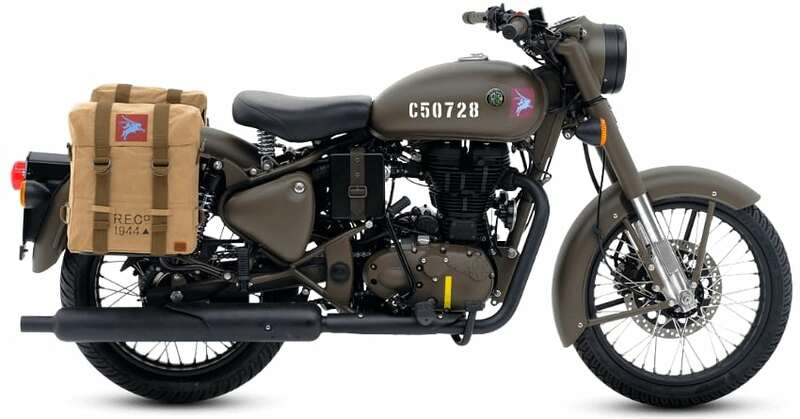 For those who are new into the Royal Enfield lineup, they basically retail Thunderbird, Classic and Bullet series, with each carrying two different engines tagged as 350 and 500. Apart from this differentiation, the rest all names are a fancy way to strengthen the brand position by flaunting a longer list of products. Royal Enfield Himalayan now comes with ABS as standard. Thunderbird series further flaunts X variants with the same engine-frame combination but, different shade options. In Classic series, the division of 346cc and 499cc models is based on the difference in the engine only. The base variant of Classic 350 will soon get a rear disc and ABS as standard, pricing all of them around the present day tag of Classic 350 Signals. In fact, Pegasus owners are feeling cheated because Classic 350 Signals Edition was a wrong way to introduce ABS into the Indian market. It should have been made optional on all variants together with the launch of Pegasus in India, discontinuing all of them together once non-ABS variants are declared illegal for sale in April 2019. For INR 17,000 less than what the Pegasus owners spent, present-day Classic 500 buyers can get the same powerful stance and better-equipped motorcycle with 2-channel ABS as standard.